To put the Komodo app on your Apple iPhone or iPad visit this page, or search for "Komodo" in the App Store and install it on your device. Once you've done this, open the app and you'll see this log in page. 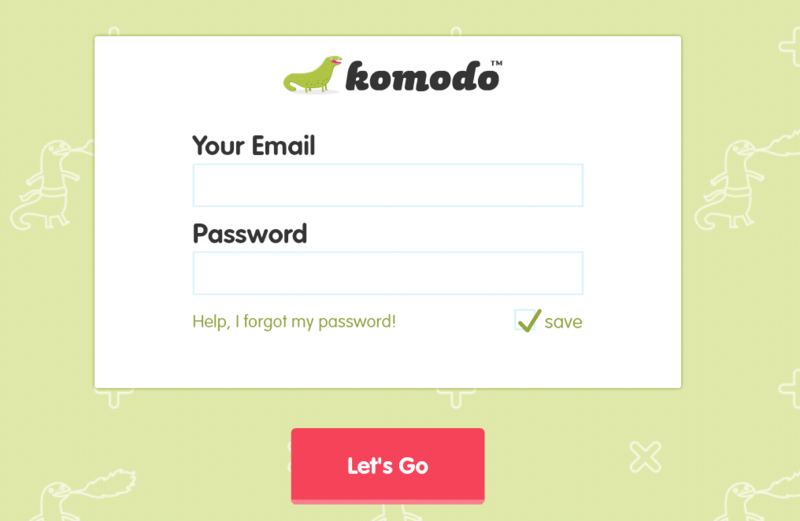 All apps get bugs from time to time - to make sure that your Komodo app updates and that any bugs are fixed, it's a good idea to close the app and restart it occasionally. If you have iPhone 8 or earlier, do this by double clicking on the home button of your iPhone or iPad, swipe left or right to find the Komodo app, and then close the app by swiping up on the preview before opening it again. For iPhone X, swipe up and pause, then firmly touch and hold the app, then swipe up or tap the red button to close.